Caitlin’s specialty retail background offers her clients a unique approach to customer service. By providing thorough attention to the details, needs, and wishes, Caitlin delivers expert attention to each of her clients. Her customers will experience firsthand how exciting it can be to look for their new home as she provides a fresh approach to their real estate experience. She received her degree in Fashion Merchandising and Business Administration from Texas State University. 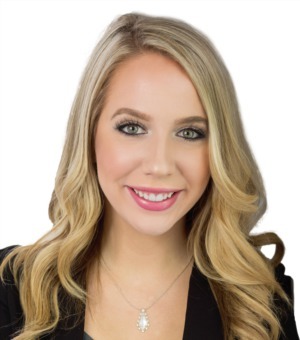 During her summer months at college, Caitlin worked for one of the top-producing Remax brokerages in Houston, gaining advantageous insight into the residential real estate world. In 2015, after graduating college, Caitlin moved to Austin and immediately fell in love with the city; initially managing a high-traffic retail store in North Austin. Soon however, her love of real estate became her ambition. Caitlin followed her passion, received her real estate license in record time and joined the team of professionals at Remax Posh Properties. Caitlin enjoys running the trails along Lady Bird Lake, volunteering with various rescue dog organizations, traveling both domestically & abroad and pursuing her bucket list of dining at Austin’s many great restaurants. Caitlin welcomes the opportunity to meet with you in pursuit of your new dream home.